Students are invited to attend the presentation portion beginning at 6:00pm. Unlike many scholars and diplomats who point to a resurgent Russia, a rising China, a more militant set of adversaries in the Middle East and increasing problems for the United States in the future, Zeihan sees a renewed era of American hegemony. He bases this thesis on an assessment of the impending decline of much of the rest of the world given the relative endowments of geography, trends in demography and the likely economic/technological capabilities of various nations in the future. 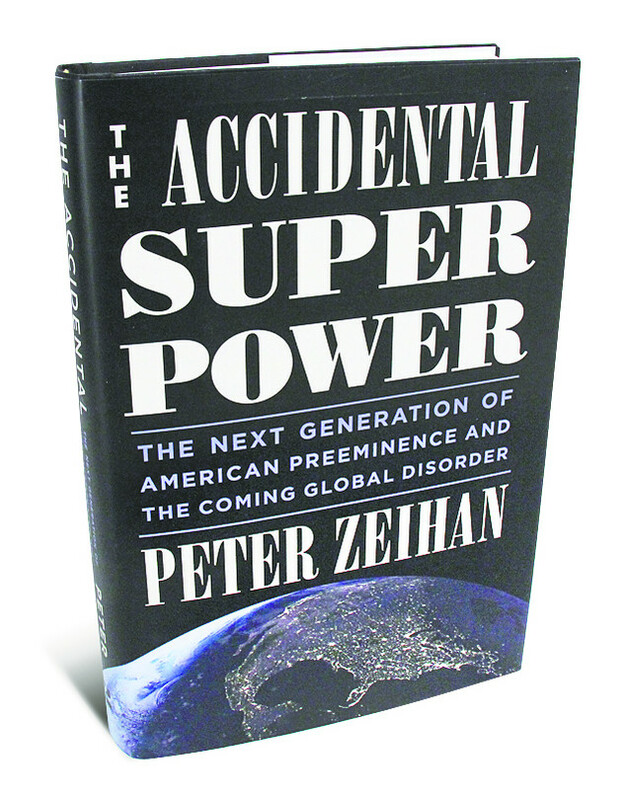 The subtitle of his book, The Accidental Superpower is his thesis: "The Next Generation of American Preeminence and the Coming Global Disorder." Mr. Zeihan is a frequent guest on national and international television news shows on CNN, ABC, Fox News, and also is frequently interviewed for radio programs. He has been quoted in major print and online publications including the New York Times, Forbes, the Wall Street Journal, AP, Bloomberg, MarketWatch and many others.